Andy: Looking forward to Macau? 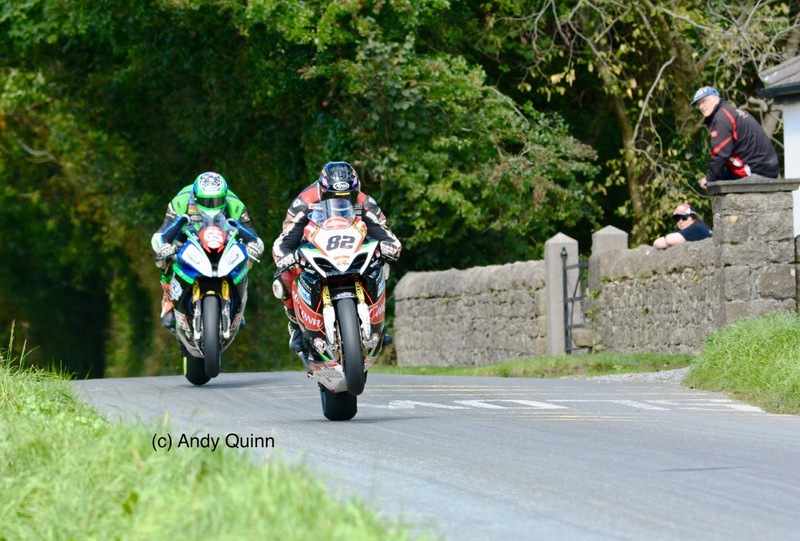 Derek: Ah yeah, great place with a good track and good weather on a fast bike. Andy: Different beast this year? 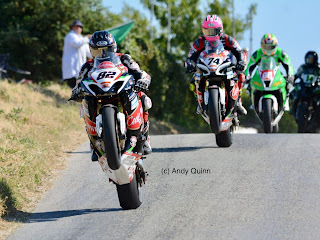 Derek: Yeah, back with the Penz13 boys again on the BMW S1000RR that I ran in Horice earlier on this year. And back to a Pirelli tyre too so, we’re going to have to work hard to get the bike setup before practice and qualifying. 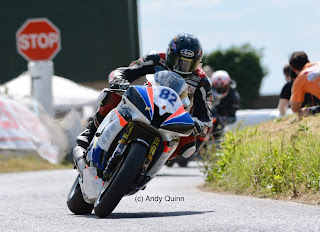 I had the Burrows GSXR setup nicely last year but, that was on a Dunlop so it’s a big change to get a setup before qualifying. Andy: Is there much time for practice and setup before qualifying? Derek: There’s an open practice session where you can come in and out but, it’s hard, especially when you’re trying to get up to speed again after not being there for 12 months. It’s not like you can jump in a car or a van and get laps in because it’s just too busy with bumper to bumper traffic. Also, the weather can change quite quickly so it can be tough to string a quick lap in if it starts to rain. Or even missing a session can be a big problem because it’s so important to get a good qualifying time. We’re also wary of making changes that mightn’t work because you can’t come in and change it back that easily. Andy: Did you enjoy Horice? Derek: Aw it’s a brilliant meeting, such a good place and everyone’s out for the craic. Loads of people out drinking beer enjoying motorbikes, sure where could you go wrong! It’s a good track too, not mega fast, like lots of 2nd and 3rd gear turns into 4th in places. It’s very technical, one corner after the next and you don’t get much of a break around the place. Not too many big long straights and that makes it very technical. Great people too, they love their racing over there. Andy: Who will you stay fit and sharp over the Winter? Derek: Ah I do a lot of mountain biking but, to be honest after Macau I’m looking forward to a break. Every Tuesday and Thursday evening I’d head off and try and get in maybe 15 or 20k. As well as that I’ll be offroading and doing MotoX or endurance. You find that you go out on a Tuesday night and when you get home you’ve to wash the bike down. Then on Wednesday you’ll be back prepping the bike for the Thursday night and then the whole week is gone. So, probably for a while, I’ll just do the Tuesday night, take a break and then something at the weekend. I need a break, although I get a buzz and enjoy it. It’s not like going to the gym. Mountain biking keeps you fit and it’s relevant to what you’re at but, when you’re at it 2-3 times at night during the week, it can become at bit of a chore. Either way you have to be riding a bike, MotoX or endurance whatever, a gym regime doesn’t really prepare you for what you’re at on a bike at a track. Andy: I know you won’t tell me but, I’m going to ask you anyway! Any teasers for next season? Derek: Dead right I’m not telling you! Ah I have a few things that I can look into but, for now just talking is all. We’ll see, if there’s a good deal there, we’ll take it. Andy: Anyone you’d like to thank for 2018? Derek: I’m blessed with some fantastic sponsors. 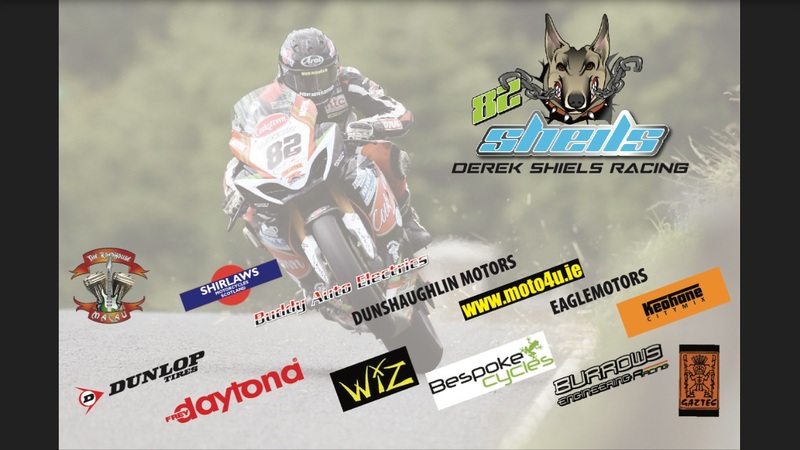 Dunlop tyres, The Roadhouse Macau, Shirlaws Motorcycles Scotland, Daytona, Buddy Auto Electrics, WIZ, Dunshaughlin Motors, Moto4U.ie, Bespoke Cycles, Eagle Motors, Burrows Engineering, Keohane Citymix and GAZTEC. Thanks to them for looking after me in 2018.